The SGI-PSA process for upgrading of raw biogas to bio natural gas quality applies a Vacuum regenerated Pressure Swing Adsorption (PSA) technology. CO2, higher CxHy,H2S, odours and other undesired components will be simultaneously removed by activated carbon and carbon molecular sieves. A methane purity of >96%Vol as well as methane recoveries of 98% can be achieved. The SGI - PSA CO2 removal plants are providing low-cost bio natural gas with a reliable, flexible and trouble free process. SGI - PSA systems and machinery components for feed gas compression and vacuum generation are successfully employed for the bulk removal of CO2 from various raw gases. The useful capacities range from several 100 Nm3/h bio natural gas product up to several 1000 Nm3/h. Particular features of SGI's PSA process and machinery components are high CH4 recovery rates, low operating and maintenance costs and operational simplicity. Extensive know-how and engineering expertise guarantee the design and construction of tailor-made and economical plants of the highest quality. 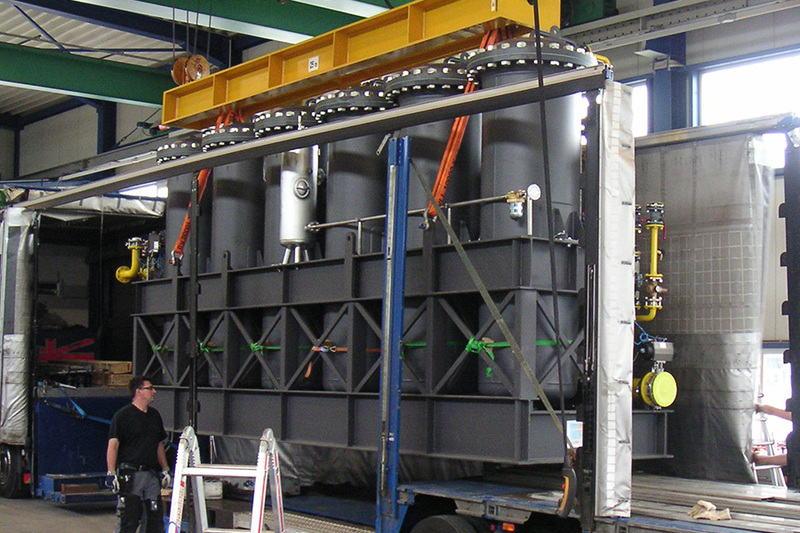 Modular, containerized design of the CO2 removal plants reduces erection time and costs at site. 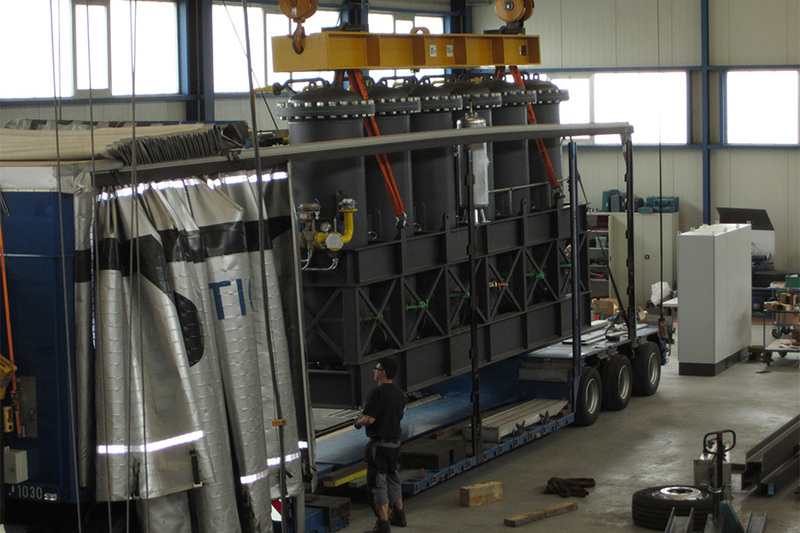 The fully prefabricated machinery containers are thoroughly tested before they leave SGI's workshop. Short installation time because PSA and machinery inside container is completely mounted, piped, instrumented, wired and tested. Container installed machinery fully assembled and tested, ready for start-up.